Oh, Pottery Barn, how I love you so. It’s such a treat to receive their catalog every month. Yes, they are a little spendy, but we’ve purchased some really quality pieces from them. I look through the pages, marking everything I dream of, and every once in awhile my dreams come true. I’ve put together a collection of my favorite things right now, and maybe, just maybe, a few will find their way into my home. This is so charming. It’s a great way to display a pretty towel and house a fragrant soap. 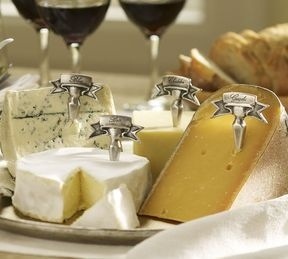 Cheese is one of my favorite foods, but I’ve been to many parties where I wasn’t sure which fromage I was eating. This is a super fun idea! 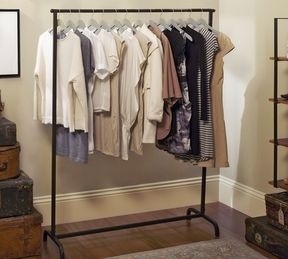 What a cool way to display you’re favorite clothing. This is fabulous! I actually don’t have a full-length mirror and this one is a beauty. 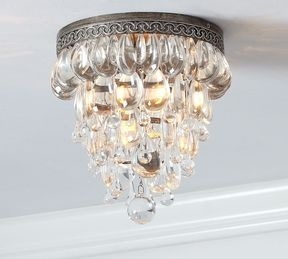 I’ve been searching for new lighting fixtures for our bedroom. This is absolutely gorgeous! 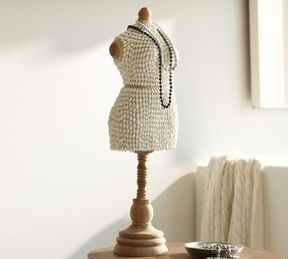 This is a chic way to showcase your favorite baubles. I love the shells too. I love decorating with vintage-looking elements. 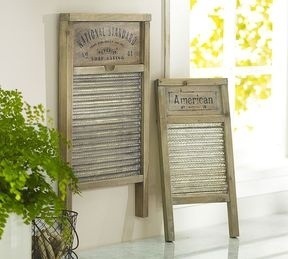 These would be ideal for our laundry room. 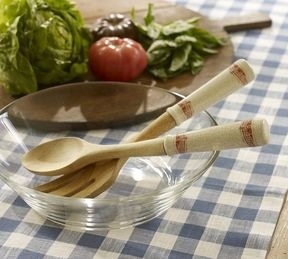 I don’t need another serving set, but I do like the antique look of these. 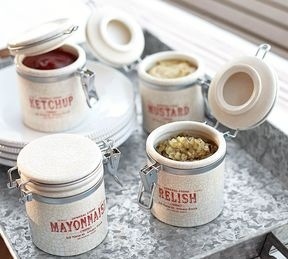 This is such a clever way to house your condiments. Again, I love the “old” look they have. If you live in Minnesota you know there’s nothing better than fresh Corn on the Cob in the summer. 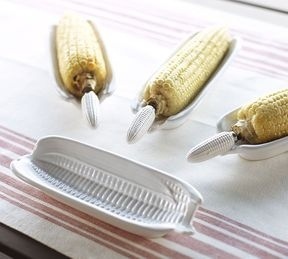 These plates are the perfect size for your cobs and the skewers will keep your fingers clean. 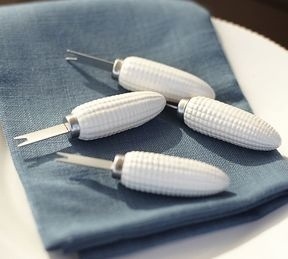 After eating all that corn, you’re going to need some napkins to wipe the butter off your face. 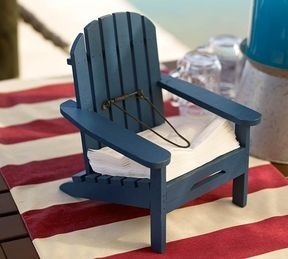 This holder has summertime fun written all over it. There are thousands of other fabulous item at Pottery Barn. If you’re looking for a cool, fun way to give your home a “summer” feel, be sure to check them out. One of my FAVORITE stores, too, Megan! Thanks for a peek inside their new catalog.